As a leading company in powder technology, TSUKASA INDUSTRIES aims to provide new value to a wide range of markets from daily life goods such as food and pharmaceuticals to leading-edge fields such as electronics and electronic components. We are engaged in technological innovation, always keep up with changing situations, provide composite powder equipment to innovate the production process, design plants that have artistic qualities, and pursue the creation of new value that opens new future for customers. If you research the manufacturing process of food and medicine, you will find out that "powder" exists in every stage. From familiar things such as wheat flour, sugar to scientific experiments, and paints also contain "flour". In fact, "powder" is also active in the cutting-edge fields of mobile phones and electronic components. Speaking of "powder," it may be an unfamiliar word, but it has attracted much attention as a new material creation technology from now on. From food and chemicals to pharmaceuticals and electronic components, powder handling technology is an integral part of various industries. Tsukasa is highly valued and trusted as a powder manufacturer that handles powder with its unique technological development capabilities and advanced manufacturing technologies. 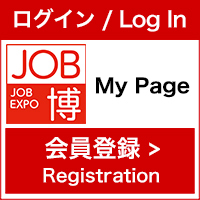 B2B sales in Japan, business negotiations with overseas customers and overseas exhibition participation. You can utilize your English and Chinese ability. When you are in charge of the project, you will be required to go to the site and supervise the construction. For overseas projects, English and Chinese are required when discussing with local contractors. 通勤手当、時間外手当、出張手当、移動手当、家族手当、役職手当、資格手当他 Transportation allowance, overtime allowance, business trip allowance, transfer allowance, family allowance, position allowance, qualification allowance, etc. We are actively globalizing so we sincerely welcome young people who are serious about their career and enjoy their job. There are business trips both inside Japan and abroad, that's why it is the best job for those who like to travel and those who want to utilize their language skills. * At least 2 languages ability described above are required. As our company is in a field where it is difficult to understand even if you read the explanation about us. So visit our booth and listen to our company presentation.